WEST LAFAYETTE, Ind. — More than 1.5 million people are diagnosed with cancer every year and about a third of those don’t survive. Before oncologists can advise how to treat, cure and prolong life, research at the most basic cellular level starts to answers questions about which drugs work best and what methods detect any reoccurrences. Purdue University research experts will discuss their giant leaps in cancer research, including early detection and response to treatments, at the Purdue event of the Sept. 21 Biden Cancer Community Summit. This is a nationwide initiative in which campuses, hospitals and community organizers host events on the same day to show the progress they are making in cancer research. The event is part of Purdue University’s Ideas Festival, the centerpiece of Purdue’s Giant Leaps Sesquicentennial Campaign, which is a series of events that connects world-renowned speakers and Purdue expertise in a conversation on the most critical problems facing the world. One of the Ideas Festival’s themes is health and longevity. The summit will give some of Purdue’s most prominent cancer research experts the opportunity to share how their work is part of a universal solution in providing the latest advancements in the field. The Biden Cancer Community Summit is part of former Vice President Joe Biden’s Cancer Moonshot initiative, which aims to maximize the global financial investment in cancer research and comprehensive care. The summit is 2:30-5 p.m. Sept. 21 in the Wilmeth Active Learning Center, Room 1055, Hiler Theater. The summit is free to attend but space is limited. Registration information is available here. * Philip S. Low, the Ralph C. Corley Distinguished Professor of Chemistry. * Stephen Konieczny, professor and interim head of biological sciences. 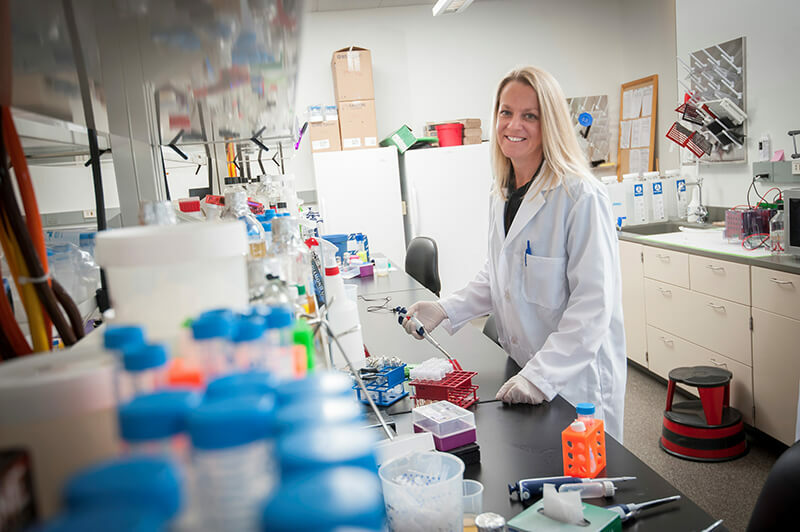 * Andrea Kasinski, assistant professor in biological sciences and 2017 American Cancer Society Research Scholar recipient. * R. Graham Cooks, the Henry B. Hass Distinguished Professor of Analytical Chemistry. * Andrew Mesecar, head of the Department of Biochemistry and deputy director of the Purdue University Center for Cancer Research, will moderate the event. The summit coincides with the Purdue University Center for Cancer Research’s 40th anniversary. Purdue’s 150th anniversary also is celebrating the College of Science during September. All summit participants are a part of the Purdue University Center for Cancer Research and the Purdue University College of Science. The college is home to the departments of biological sciences; chemistry; computer science; earth, atmospheric, and planetary sciences; mathematics; physics and astronomy; and statistics. Purdue Science is renowned for its top analytical chemistry graduate program, the No. 1 actuarial science program in the nation, strong a four-year graduation rate, two Nobel laureates in chemistry, groundbreaking discoveries in Zika virus research and an astronaut currently aboard the International Space Station.